Experts believe that the scheme, where citizens will be paid certain interest on the gold deposited by them, will help India in reducing gold imports bill. With the Centre gearing up to roll out the Gold Monetisation Scheme on the eve of Diwali, the Indian Institute of Management Ahmedabad's India Gold Policy Centre (IGPC) has initiated efforts to prepare a whitepaper on it as an on-ground feedback, which would be presented to the government. Deliberations with various stakeholders are already underway to prepare the whitepaper, IGPC Head Prof Jayanth Varma told PTI. According to Varma, who is currently a Professor in the Finance and Accounting Area at the IIM-A, the whitepaper would be submitted in about a month. "We are glad that views of multiple stakeholders can be presented to policy makers. If India is able to monetise a small fraction of available gold, it will have a cascading positive effect on our economy. At IGPC, we have planned to present the whitepaper in about a month time to the government," he further said. 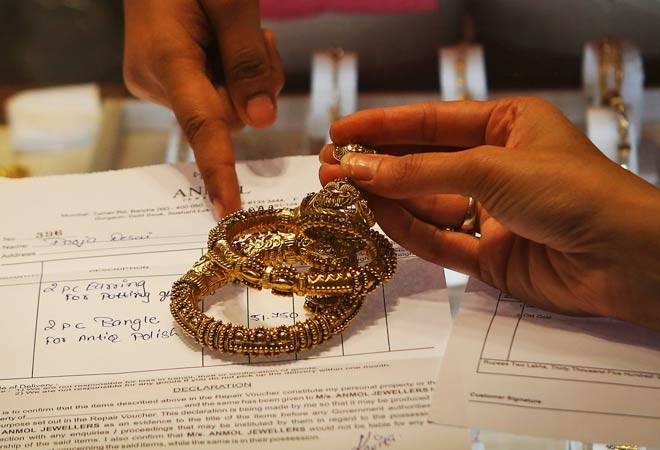 Recently, Prime Minister Narendra Modi had announced that the Union Cabinet had approved Gold Monetisation Scheme and Sovereign Gold Bonds Scheme in an attempt to mobilise gold held by households and institutions such as temple trusts, etc. Experts at IGPC believe that the monetisation scheme, where citizens will be paid certain interest on the gold deposited by them in the banks, will help the country in reducing gold imports bill, as gold is the second biggest item that India imports after crude oil. Recently, a workshop has been organised in Mumbai as an endeavour to come up with suggestions to be included in the whitepaper, Varma added. Though there is no official data available about how much gold is currently held by Indian households, Varma believes that it will be definitely greater than government's reserves. There are only unofficial estimates, for example, 20,000 tonnes of gold is often mentioned. However, the public holding of gold is in any case will be several times greater than the official gold reserves held by the Government, Varma said. As per some of the data shared by the government during that workshop, India is the largest consumer of gold, accounting for more than 20 per cent of the total consumption in the world. Over the past five years, the annual demand for gold in India has averaged around 900 to 1,000 tonnes per year. As per the estimates, around 30 per cent of the demand for gold is for investment purpose. As gold also holds sentimental or social values in India, Varma believes that the schemes will not appeal to that class, who are attached with gold emotionally. This scheme will appeal more to people who are buying gold for investment purposes and not for sentimental values. It will also appeal to those who are anyway planning to exchange their old or inherited gold jewellery for more modern designs, he said. In his view, the government may have to engage in some form of marketing to attract more citizens towards the scheme. Some marketing efforts, including word of mouth publicity, will be necessary to attract people. "I would regard the scheme as successful if it mobilises a couple of hundred tonnes of gold over a three-year-period," Varma added. IGPC, established a year ago, is a part of IIM-A and is sponsored by World Gold Council. It is a Centre of excellence, conducting applied research on the gold industry in India and providing insights to suggest ways at both policy as well as execution levels.